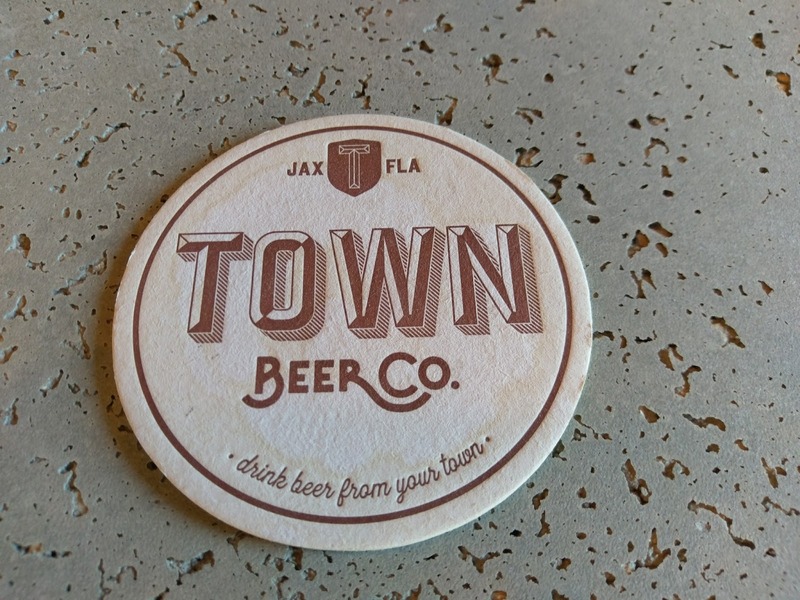 New Jacksonville craft beer bar and shop Town Beer Co. is taking the phrase "drink local" to heart and to a new level. 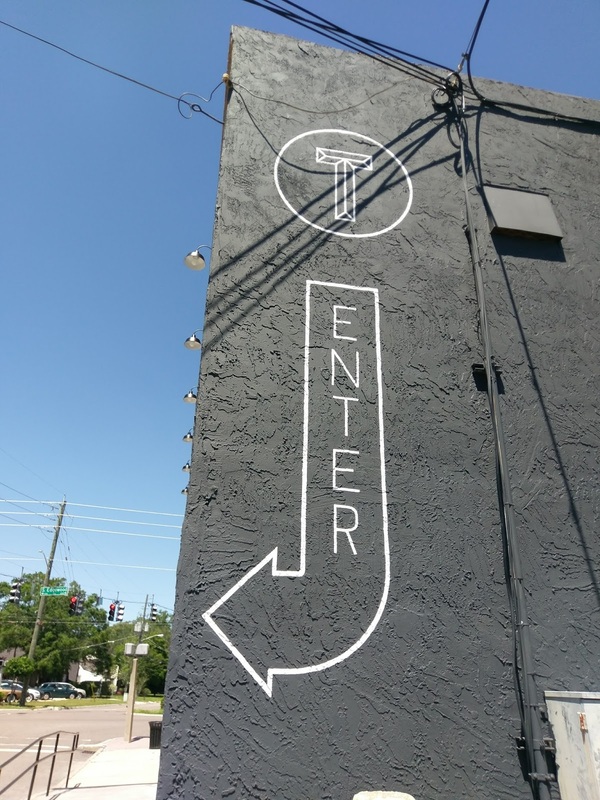 When the new spot opens for business in the Murray Hill area on Saturday, May 27, the taps will pour only beers brewed in Jacksonville, and the retail shelves will offer packaged beers exclusively from Florida breweries. 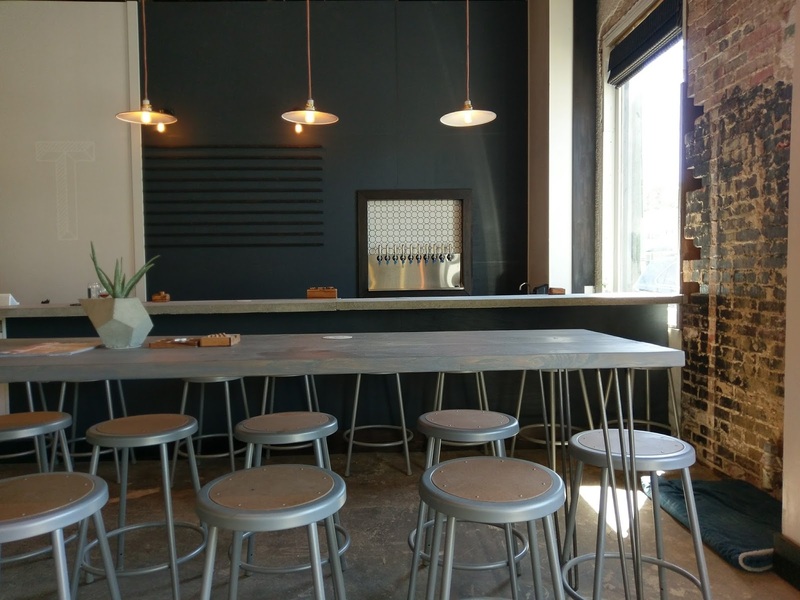 Because most bars and establishments offer many different beers from national and regional breweries, with typically only a few tap handles spread among the local ones, Co-owners Alex and Priya Moldovan wanted to "showcase" beer made in Jacksonville. 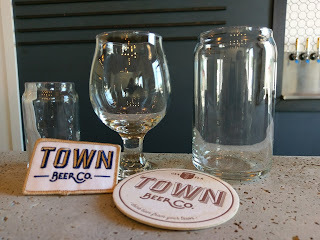 Through this concept and under the tagline "Drink beer from your Town," the bar looks to introduce the community to beer styles produced "in town," and will offer various beers that many people may not even know exist, says Alex. Subscribing to the "we all live and work here" mantra, the business seeks to support local breweries and increase sustainability by decreasing reliance on beer transported long distances. It's all about keeping it local. And, adds Alex, "it's as fresh as it gets," when speaking of the beer! The venue is open and airy, featuring clean, bright lines in a coffee shop-type atmosphere which might be described as modern, rustic and industrial all at the same time. The 1200 square foot space is anchored by an eight-seat concrete bar which faces the 10 taps and menu board. 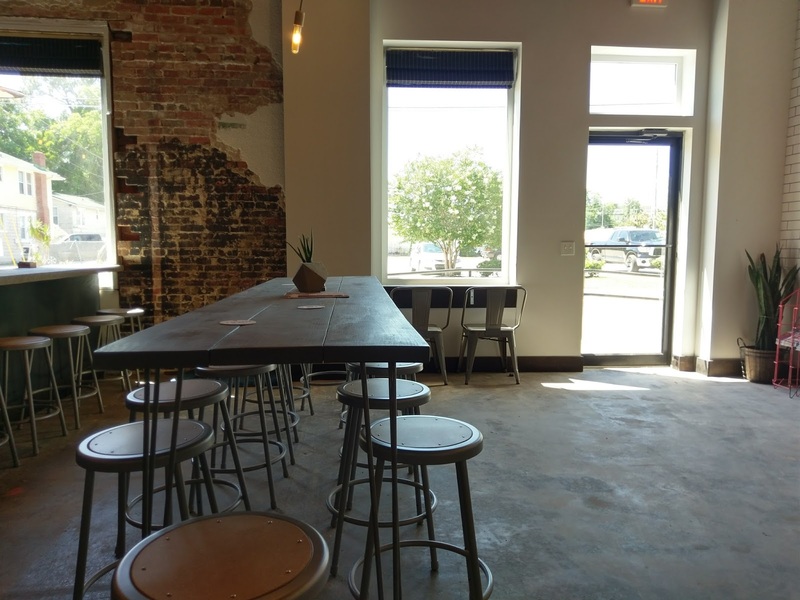 Guests will find additional seating options at tables and chairs, a 12-seat table, corner wall bench, and a six-person table that also doubles as a ping pong table. The lighting fixtures, including a Sputnik pendant, have an industrial flair. 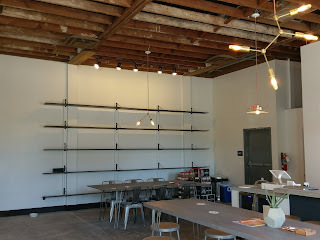 Shelves along the back wall will be home to retail beer ready to-go. Alex worked on the much of the build-out himself and removed parts of the existing drywall to reveal a brick wall that adds a different character at the corner near the bar. With an ambition towards entrepreneurship, Alex was a homebrewer before starting in the commercial beer business two years ago as a bartender with a local brewery, and then becoming a brewer and brewery rep. He's the "hands-on" guy behind the bar and the beer, while Priya handles the administrative side of the business. 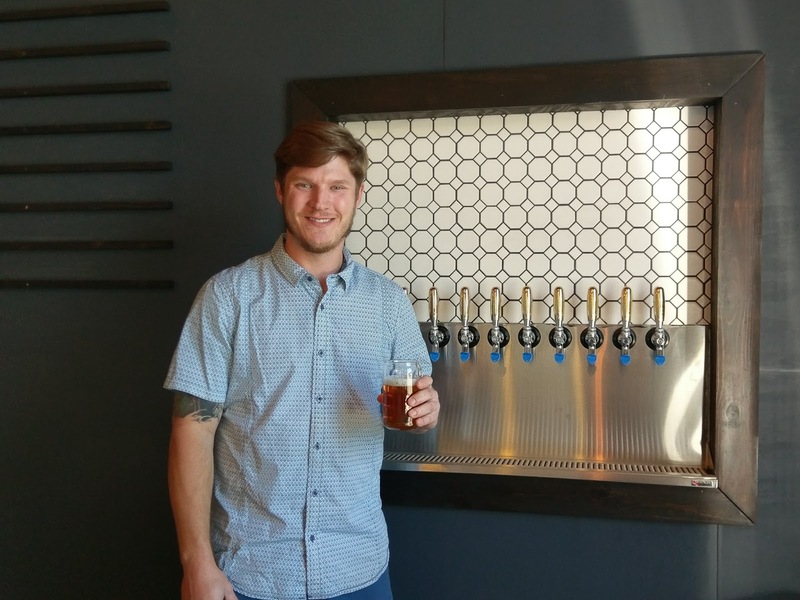 When the property, a former jiu-jitsu studio, became available at the end of 2016, Alex saw the tap room dream draw one step closer to reality. 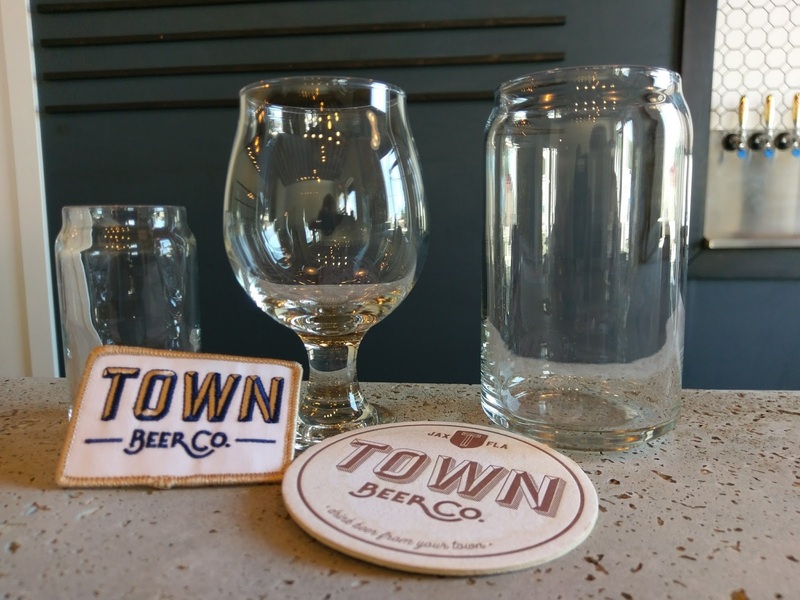 This writer witnessed an exciting development when the first distributor trucks arrived on site Thursday with Town Beer Co.'s initial beer deliveries. As far as the beers that guests will have waiting for them, there's a mix of different beer styles, from light to dark, to barrel-aged and a few surprises that haven't been seen outside of the breweries much, if at all. 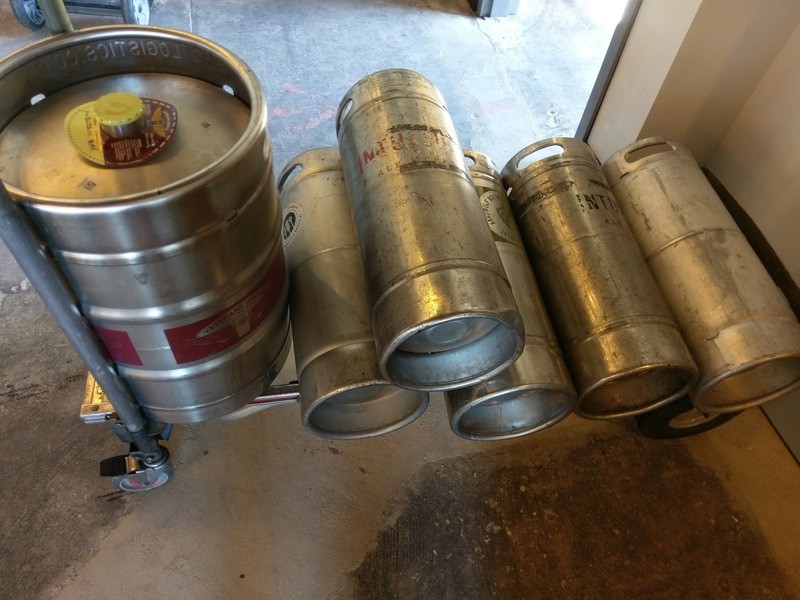 Without giving anything away, at the outset, the taps will feature beers from Aardwolf Brewing, Wicked Barley Brewing, Intuition Ale Works, Pinglehead Brewing, Veterans United Craft Brewery, Bold City Brewery, Engine 15 Brewing, Zeta Brewing and Green Room Brewing (until those first-run kegs kick). There's also a tap for a Cold Brew Coffee. See a packaged beer that you like? Take one out of the fridge at the end of the bar, and enjoy. 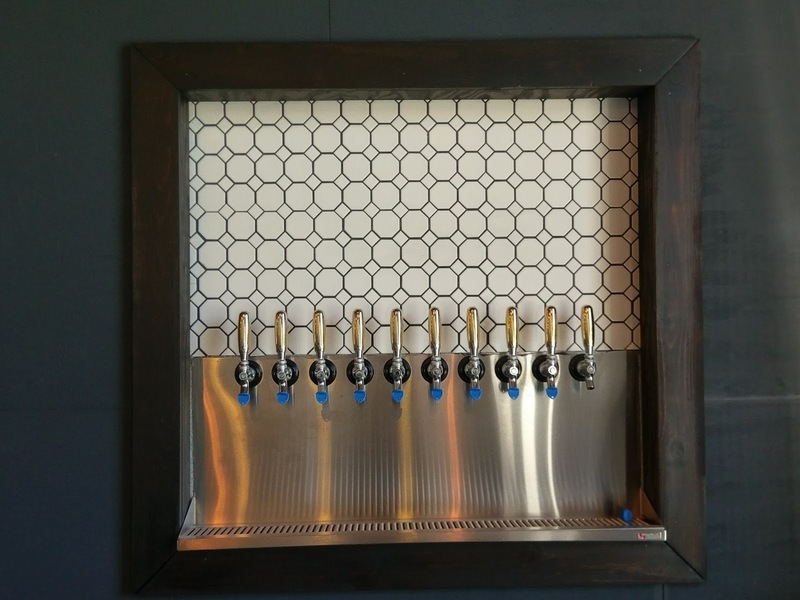 Tap beers will be available in different size pours: pint, half-pint, and 4-ounce sizes. For those looking to sample a few, order several short pours. The bar will also fill growlers to-go. 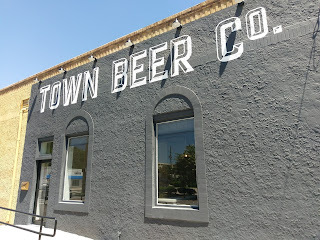 Town Beer Co. holds its Grand Opening (which is also its Opening Day) on Saturday, May 27, starting at 11am. Festivities include pretzels available from Community Loaves (about a block away) and doughnuts from nearby Jane Dough. Momni Boutique will be on hand with gift cards. Brewery reps will be on site with some free beer stuff for those of you who like to collect brewery swag! (who doesn't?). Live music starts at 6pm, with Folk is People, Adrian Kennedy, Matthew Harrison and Strangerwolf. Town Beer Co. is located at 1176 Edgewood Ave. South, in the Murray Hill area of Jacksonville. With revitalization in progress, it's an up-and-coming area, which is currently home to several restaurants, bars and shops. Note that the entrance to Town Beer Co. is at the corner at Edgewood and Mayflower St. Parking is available streetside or in a backlot. Looks like that's how to "drink local." Thanks to Alex for taking some time out of his busy day to let me wander around and snap some photos and write up some notes. 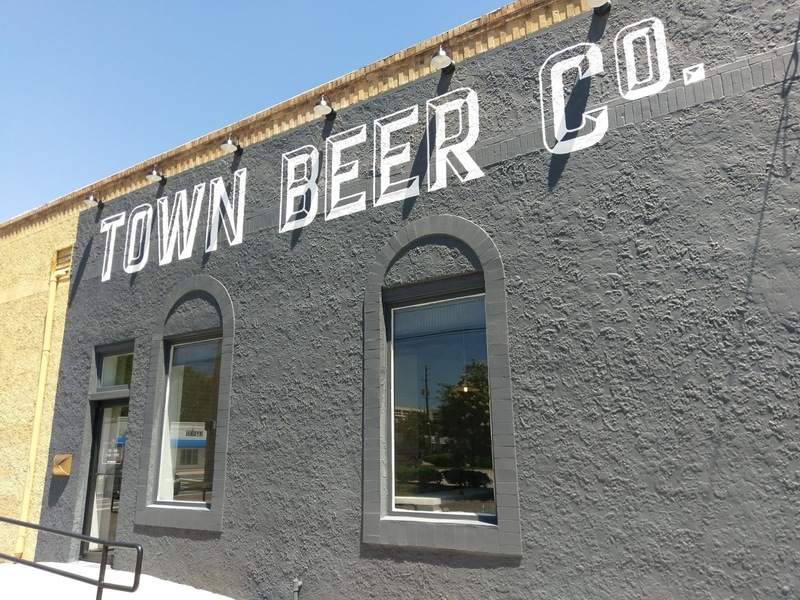 Congrats to Town Beer Co.! And, that's a wrap on another new business in Jax. Seems that things have been going just a bit crazy around the area lately! If you're looking for beer events around the Jax/North Florida area and beerfests all around the Sunshine State, keep an eye on the two events pages right here on brewnymph.com! And, I'll see you with a beer ... around Florida somewhere! Labels/Category Tags: Craft Beer Bars, Florida breweries, Home, Jacksonville, Jacksonville Breweries, Town Beer Co.